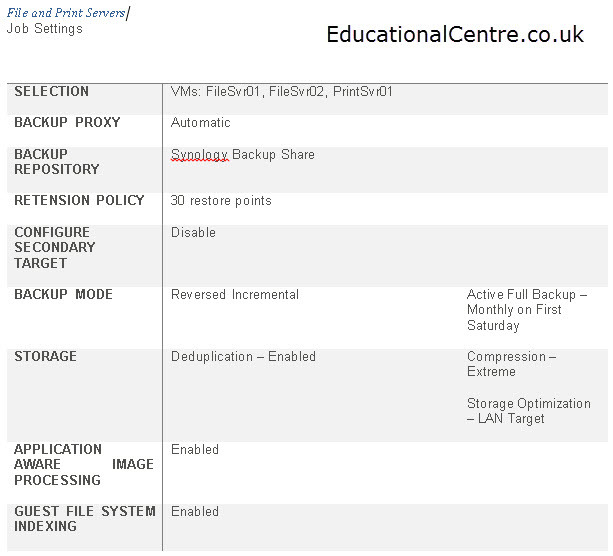 Note: The Visio file for these examples can be found at the end of the blog post. Your backups evolve over time, as does your environment. 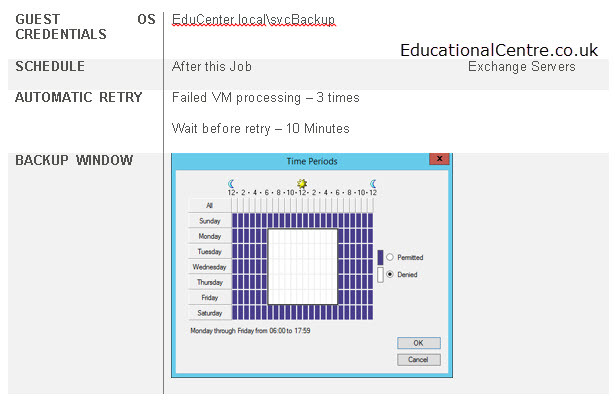 Your backup schedules become more complex, and its hard to remember, what does what. When you have a number of backup jobs, you have a lot of jobs and information to dig through. Its not user friendly. This then gives you a quick snapshot. 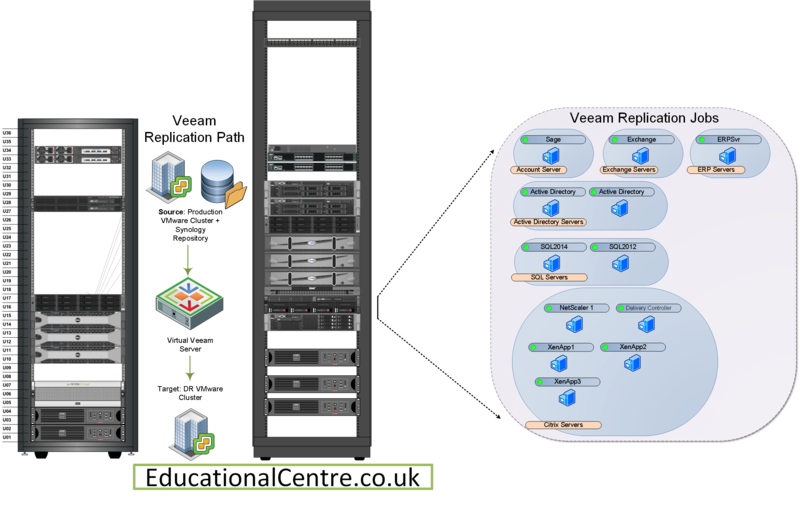 So this is the conceptual overview, for me, its easy, I setup Veeam in supported configurations, taking advantage of its many features, such as direct SAN backups. 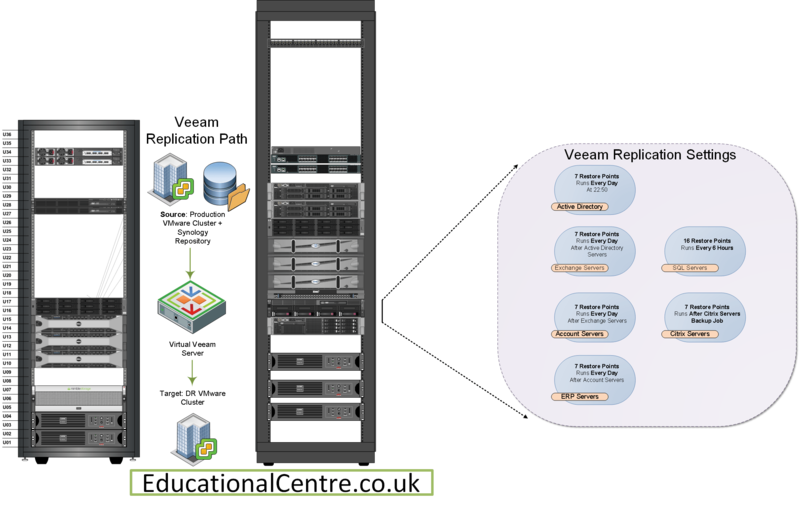 So here I am essentially re-working Veeam’s own diagrams of how they show their software working. At this level, I do not bother with server names and IP addresses, but there is nothing stopping you from doing that. I find this diagram is helpful for support engineers to quickly understand the environment when troubleshooting issues. But at the same time, when Veeam has issues, they have done a good job of providing meaningful error messages (unlike Backup exec). Now onto visualising each backup and replication job, and more importantly, which servers/services are included in each job. 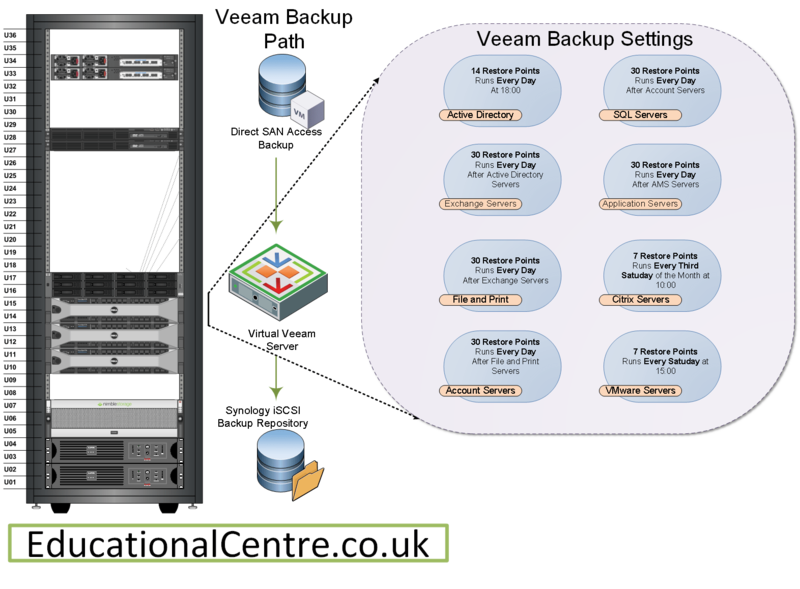 To complete the visualisation, I decided to included the rack diagrams, which I covered in Part 2 of this series. As well as showing the architectural components involved. It’s quite simple, a container for each job, and the name of each server/service included in the job. So this is pretty simple, a copy and paste of the above, then remove the server icons, and insert the headline job settings that you need to know. When does it run / Linked to any jobs? I hope this helps, if anyone has any suggestions on how to improve the above, or wants to chat about how they document their environment, either online or offline, let me know. 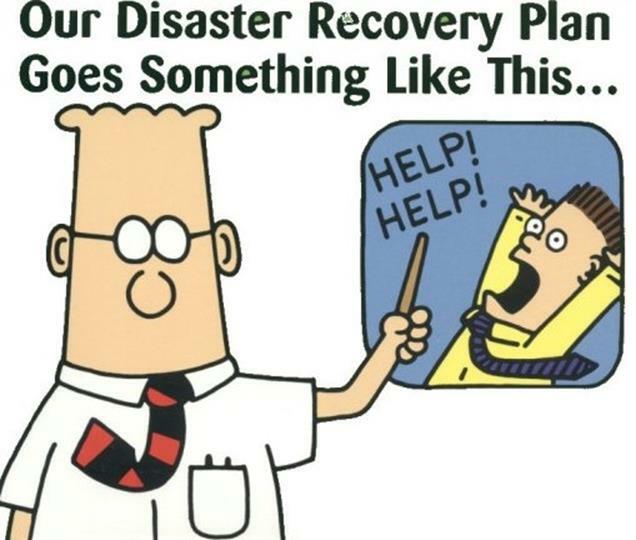 For now, I’ll leave you with one of my favourite Dilbert sketches.